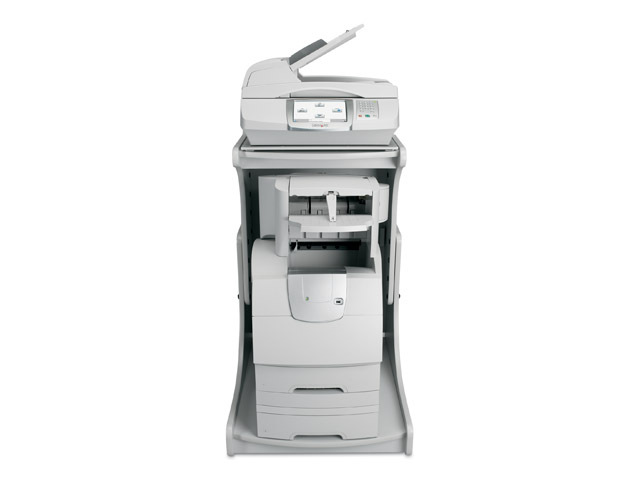 In addition to its large, intuitive colour touch-screen and advanced functions, the Lexmark X646ef mono MFP comes equipped with a complete range of finishing features. A powerful 514 MHz processor and standard 256MB RAM (expandable to 640MB) for fast copying or printing with up to 50 ppm (48 ppm for A4) coupled with a time to first page as quick as 8.5 seconds means less wait-time for users. 250,000 page one-time maximum monthly duty cycle provides departmental workgroup support. 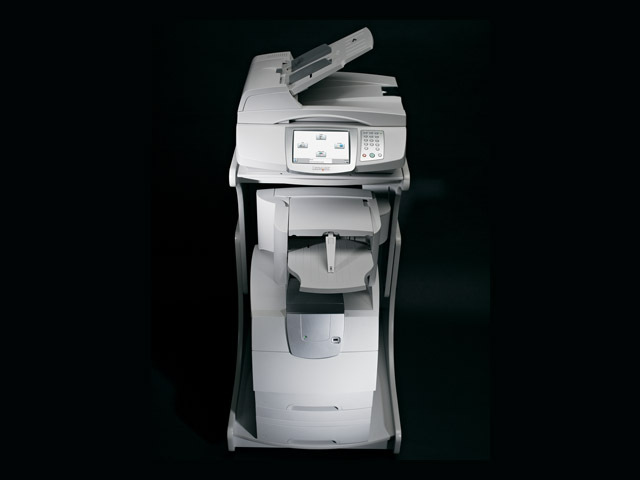 This MFP can be easily tailored to an array of business output application needs for general office copy, fax, scan and print, consolidated on one multifunction printer. Take workflow efficiency to new levels. The X646ef is equipped with Lexmark's new Embedded Solutions framework, offering you network-friendly, native support for Lexmark’s wide range of enterprise solutions.